Crayon Grape/Uva 12/10 Net wt. 320g (11.3 oz). Naturally and artificially flavored grape/uva soft candy. 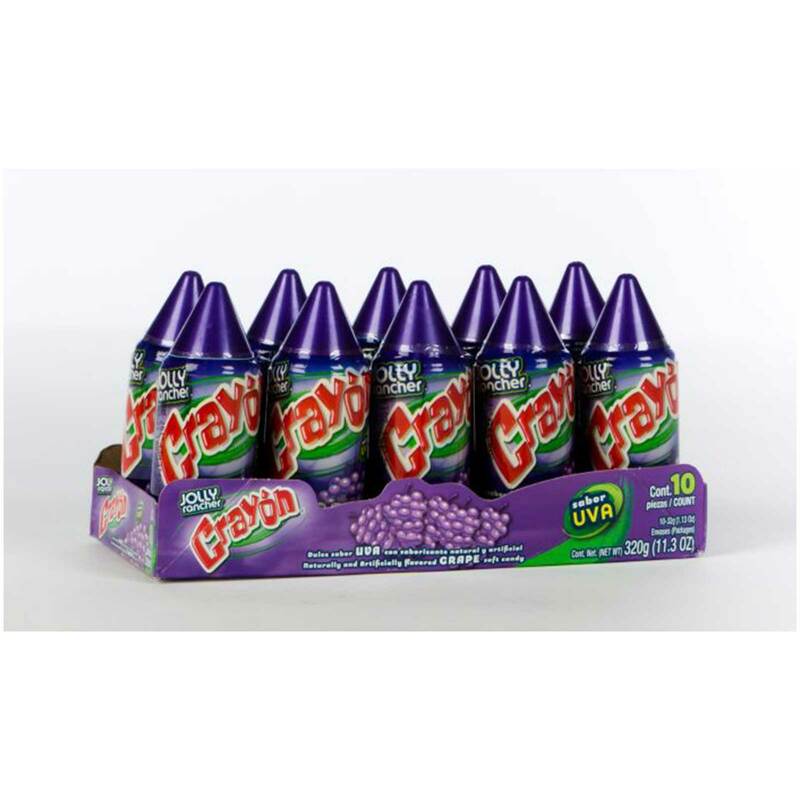 Order CRAYON GRAPE in bulk at wholesale price at Volt Candy Online.